NEW Angel Choir for young children Pre-School to 4th grade. Meet at 9:30 in the Chapel. Learn music through the use of puppets and hands-on percussion instruments. 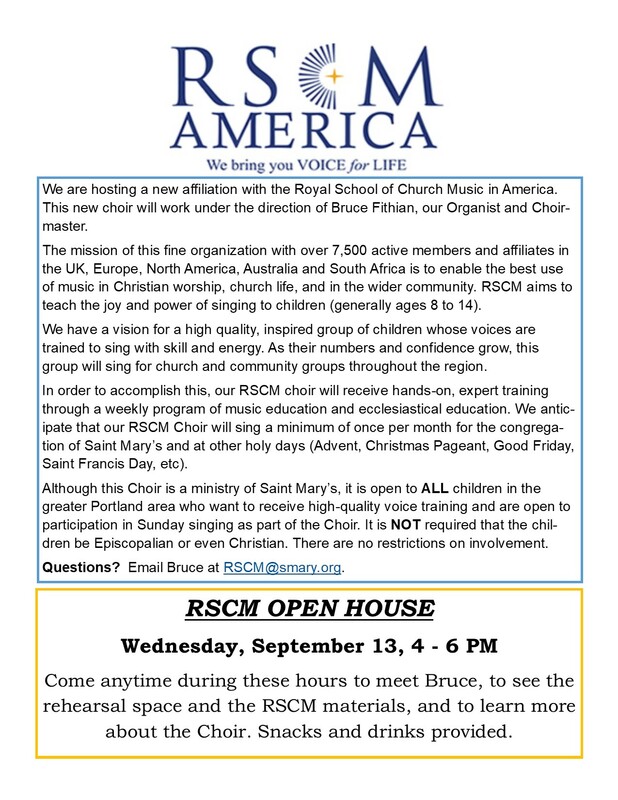 This new choir is in support of the RSCM program. Priscilla Rigg has volunteered to lead this new choir.